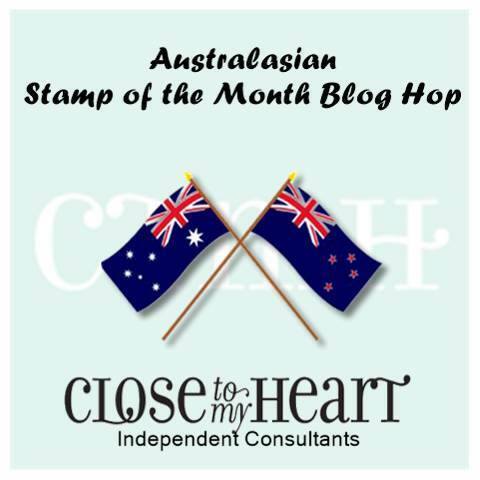 CTMH Australasian March SOTM "Sunshine Birdies"
or you may have joined in from here! 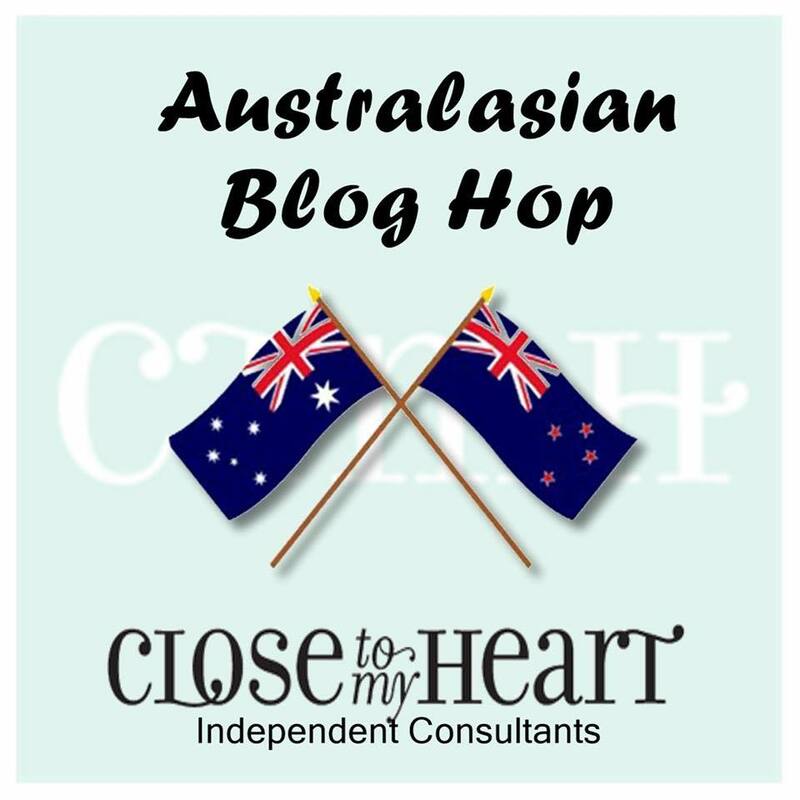 Once you have seen the ideas below, follow the link at the end and you will visit 8 fellow "Sunshine Birdies" bloggers and land right back here where you began! 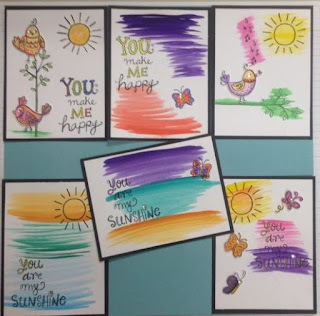 What a cute stamp set for March Stamp of the Month "Sunshine Birdies"
Couldn't resist adding a little colour and decided to use the Watercolour paints to add some lovely bright colours to my cards and layout! I wanted a fun single layout to use as a Title page, with space for photos, yet wanted to also capture the singing bird, notes, sun, butterflies and that little branch is so cute. So here it is! The cards were created - one at a time. 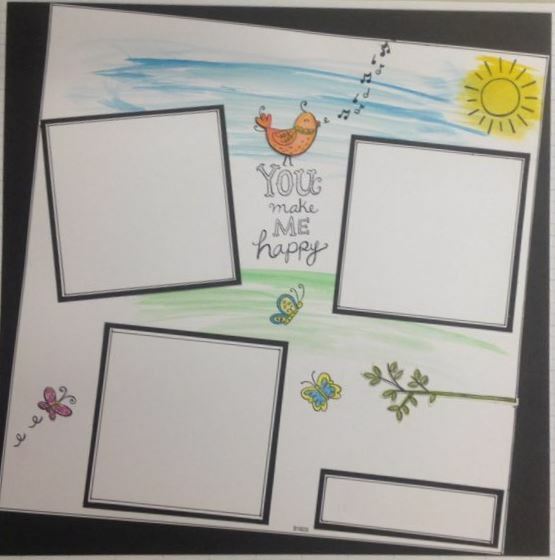 Initially I cut a 12" x 12" piece of white cardstock into 5" x 3 3/4" pieces [6 from a 12" sheet]. This size allows for the white to be mounted into a colour, or in this case I used black cardstock cut at 5 1/4" x 4". Using the watercolour paints I initially painted the fussy cut birds and sun, then added paints for the background. Creating these ideas was a lot of fun, hope you have enjoyed them! 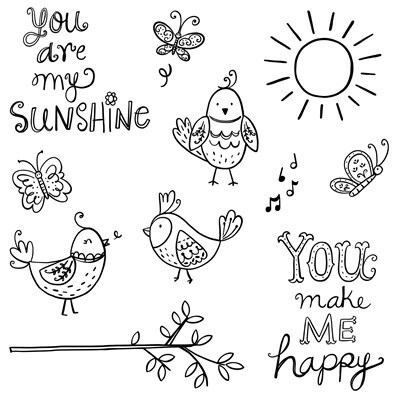 Wishing you a wonderful journey as you hop through all of the creative ideas for "Sunshine Birdies" Blog Hop!